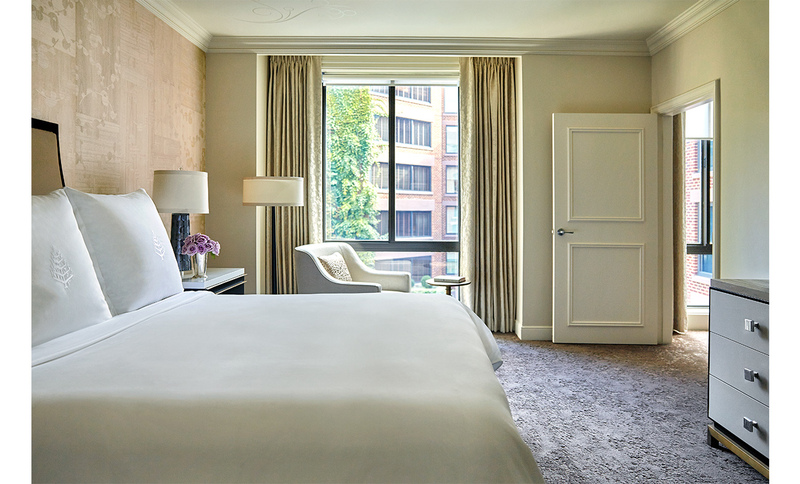 Most recently, U.S. News & World Report recognized Four Seasons DC as the “No. 1 Best Hotel in Washington, D.C.”. 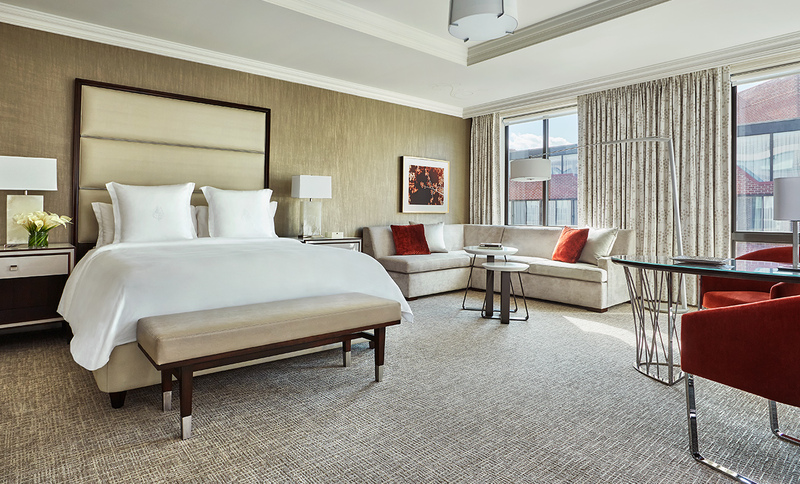 Also, Condé Nast Traveler named the Top 10 Hotels in DC in its Readers’ Choice Awards 2018, including the Four Seasons Hotel Washington DC ranking No. 2. 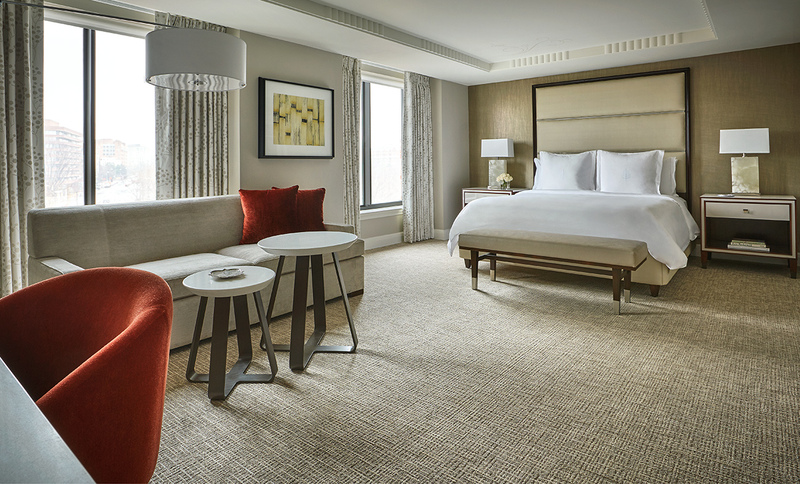 ForrestPerkins was honored to reinvent 164 guestrooms and 53 specialty suites at the Four Seasons Washington D.C. 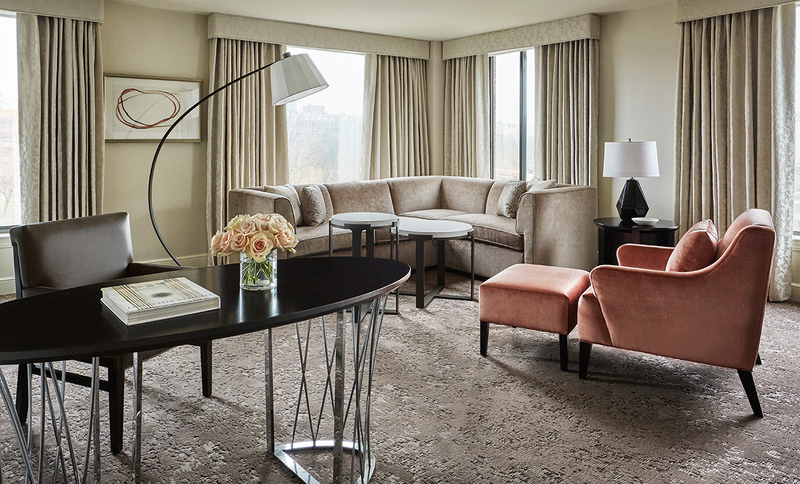 The elegantly comfortable rooms and suites we designed support the discreet service and refined environment for which Four Seasons hotels are known. 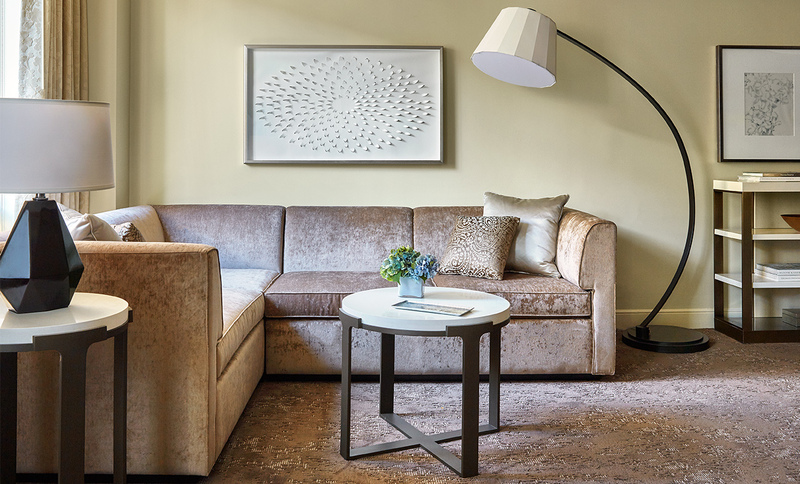 ForrestPerkins’ design intent for the guestrooms of the city’s only five-star, five-diamond luxury hotel was to subtly capture local context. Abstract, understated cherry blossoms, for instance, emerge in the wallcovering and draperies in the guest rooms and the corridor carpet. 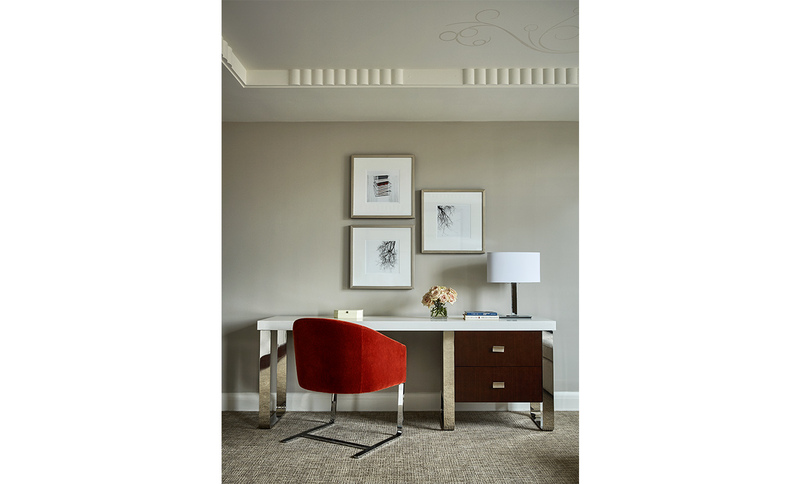 No detail was overlooked in creating bespoke furnishings, fabrics, and finishes. Generously-sized nightstands provide space for guests’ personal belongings as well as connectivity for multiple electronic devices. 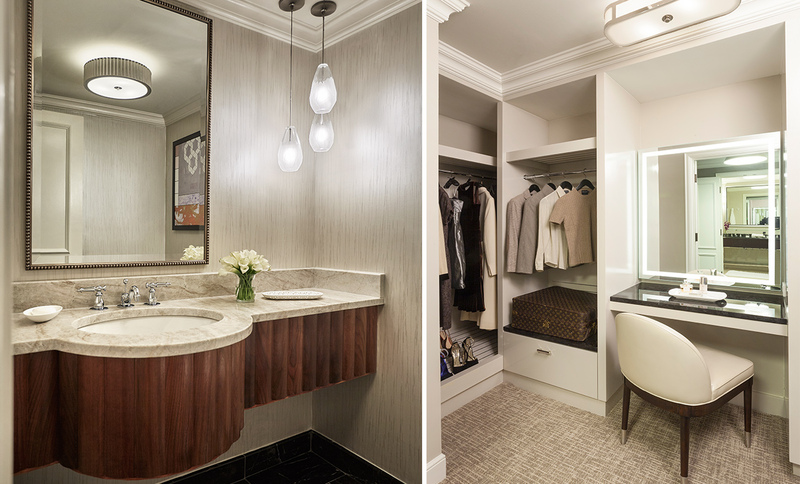 Spacious walk-in closets feature three-way mirrors and built-in luggage benches. 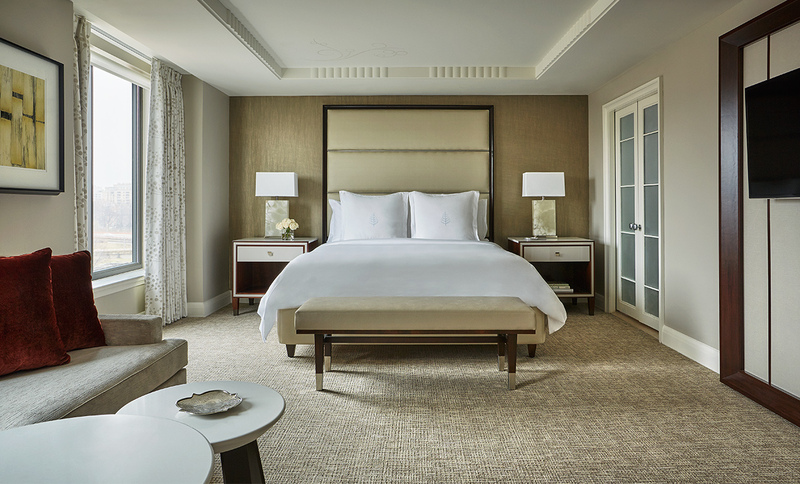 Clean, modern lines and a soothing palette of cream, taupe, white, and a splash of cognac create the feeling of a luxurious pied-à-terre for the Four Seasons guest. The overall effect is luxurious and sophisticated. Photography by Christian Horan Photography, INC.